Today, we received very surprising news about a tie-up between Toys R Us, McDonald’s, and The Pokemon Company for a special Pokemon campaign. 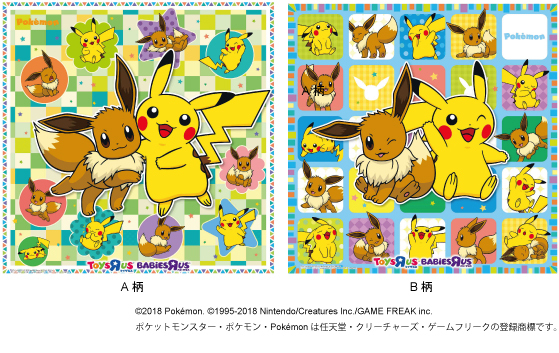 Starting July 6, 2018, customers who purchase a Happy Meal with a Pokemon toy at McDonald’s Japan can bring their receipt to any Toys R Us or Babies R Us location in Japan and receive a Pokemon picnic sheet when they pre-order or purchase any product associated to Pokemon at the store. The first design will be distributed from July 6 to July 12, limited to the first 6000 customers. The second design will be distributed between July 13 and July 26 to the first 15,000 customers. While stocks last.